The traditions and values of our ancestors were formed out of respect for mother earth and the spirit that lives within everything. Our way of life was designed, to protect those natural resources and to manage them for long-term sustainability. Although, all Pacific Islanders share many of the same values and traditions, some have evolved into differences that many years of indigenous living have formed into a new way of life, yet still respectful of our Pacific Island values. Our tradition also is to embrace change and adversity by learning to develop new skills to meet the challenges of a new environment. This is how our ancestors adapted as they traveled across the greater Moana Nui, the Pacific Ocean. Our history and culture did not stop at the 20th Century, it is a part of our identity today. The past is where we came from, and where we look to, to see the future. For the Pacific American community, it is that same spirit of adventure and voyaging that brought us to this place. 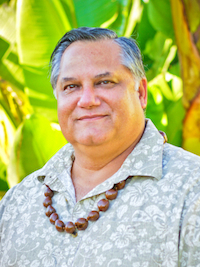 As we are woven into the American fabric, we are faced with the additional challenge of maintaining a connection with our ancestors, the connection to the `aina, to our roots, traditions and cultural values. We simply cannot leave these behind or we will lose who we are. The Pacific American Community Cultural Center is our dream to weaving these cultures. Our PACCC vision is to teach cultural values from the formative years of our children and grandchildren. Starting with early (preschool) education, through elementary, middle school, high school and into college, we must create a path that shares the wisdom of our ancestors, yet will allow our next generations to become successful in this place and time. But most of all, these cultural traditions and values must be taught in the home. The center is merely a resource to reinforce these values and wisdom. Our hope is the center will cultivate resources and sustainability with culturally minded households, new practitioners and new leaders in our community. We also open this to the community at large, to share and understand the values that are important to us. In this way, we can bring the circle of life back around to embrace the ancient ways from a cultural perspective. We must blend this cultural perspective with the need to adapt and stay viable with education, health, technology, business and finance needed to sustain our cultures long term in this new environment. We encourage all of you to embrace your culture and be the 21st century generation of skilled native speakers, artists, cultural practitioners, teachers, workers and college graduates. Know where you come from. Be a part of your cultural transformation. Take it on. Own it. We believe this is the right way to respect those that have come before us, the right way to teach our next generations, those that come after and those around us. Hele mai, please come and join us in our journey and may Ke Akua guide us into a new era of inclusion and cultural sustainability.